I'll continue from where I ended last time. I went to a library to return books and borrow new ones. found several exciting books for me and borrowed them. so I went to a quiet cafe and nobody was there with the exception of the owner. I odered a piece of cake and a cup of tea. 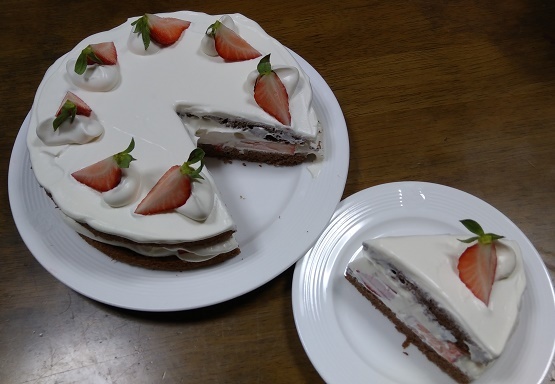 When I had the cake, I thought that I made it better. I coudn't concentrated reading any more and it was getting crowded at the cafe gradually. and went toward the supermarket to get ingredients for it.